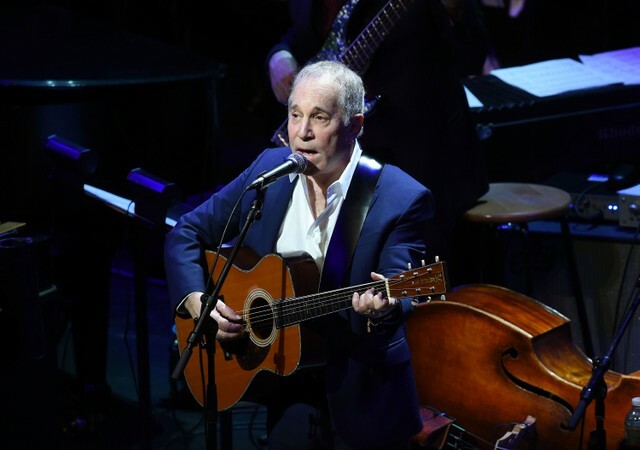 Last year, Paul Simon wrapped up his grand farewell tour with a show in Queens, a short distance from the house where he grew up. But the farewell tour wasn’t a real farewell. When he launched the tour, Simon was clear that he wasn’t retiring from performing. He said that he wouldn’t tour anymore, but he would play the odd show when the time was right. Since that Queens show, he’s done TV appearances on SNL and Colbert. And it looks like Paul Simon might sometimes do big shows, too. For instance: The San Francisco festival Outside Lands, which has just announced that Paul Simon will headline. Outside Lands, which comes to San Francisco’s Golden Gate Park 8/9-11, hasn’t unveiled its full lineup yet. But the festival has just announced that Paul Simon will headline on 8/11. He’ll be the Sunday night headliner, the guy who closes it out. So if you haven’t gotten an opportunity to see Paul Simon play live yet — or if you want to see it one more time — then this is your shot. I’m looking forward with great anticipation to playing at Golden Gate Park this summer. This will be my first appearance there, and it’s an honor to join the long line of musicians who’ve given the park its sanctified musical heritage. I’m equally pleased to be playing in San Francisco with its well-deserved reputation for being in the forefront of environmental issues. I’m grateful for the opportunity to be of service to this vital cause. The full Outside Lands lineup is coming 3/26.